A video game that allowed players to kill Aboriginal people, promoting “racism and negative stereotypes of indigenous Australians”, has been removed from online stores following outrage on social media. Survival Island 3 – Australia Story 3D, reportedly promoted the fact that you will “have to fight with aboriginals” and used warning messages like, “Beware of Aborigines!” when indigenous people appeared on screen. A petition launched on Change.org late last week by Sydney woman Georgia Mantle called on companies selling the game to remove it from their sites. By Tuesday morning it had received more than 80,000 signatures. “The game portrays indigenous Australian’s as violent and aggressive. As well as trying to promote the indigenous characters as authentic representations of a diverse culture through the description phrasing, ‘Meet real Aboriginals’,” Mantle said. “Indigenous Australians face daily racism and discrimination. Indigenous Australians are over policed and continue to die at the hands of the state. This app further perpetuates the denial of indigenous Australians humanity. It associates us with flora and fauna of the Australian landscape. 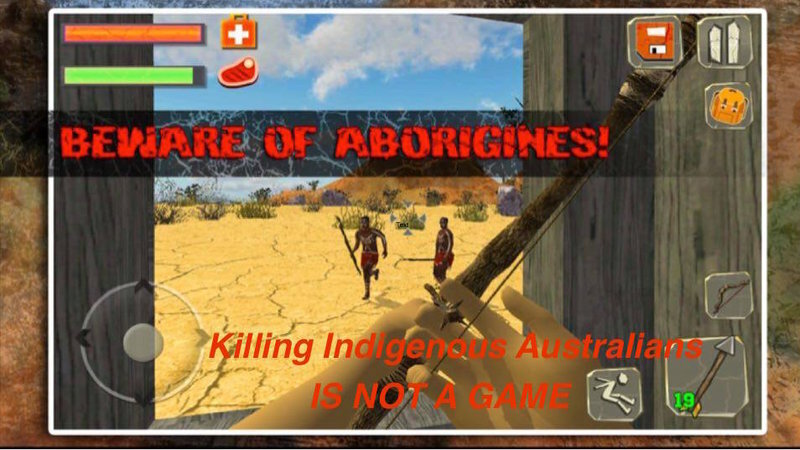 “By shooting ‘dangerous Aboriginals’, this app makes us inhuman, it re-enforces racial violence, lack of punishment for white people taking black lives, it makes fun and sport of massacres and Frontier violence. This app is another colonialist frontier and continues to exploit the deaths of many Aboriginal people without regard to the trauma that it instigates. 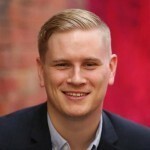 Communications Minister Mitch Fifield had called on the developers of the game NIL Entertainment, to apologise and said his department would investigate how the game had been allowed to be sold in Australia. By Tuesday morning Google Play and iTunes had removed the game from their stores, but there was speculation that Amazon was still selling it. A link to the game on the Amazon store appears to have been removed. Reconciliation Australia CEO, Justin Mohamed, said the support the petition had received showed that reconciliation in Australia was “strong and robust”. “It is incumbent upon us as a nation, and as individuals, to reject such abhorrent games,” Mohamed said. “Games like Survival Island 3 perpetuate and undermine the horrific injustices Aboriginal and Torres Strait Islander people have faced since colonisation, including massacres, the removal of children from their families and the denial of basic citizenship rights. “Reconciliation Australia welcomes Communications Minister Mitch Fifield’s announcement that his department will investigate the circumstances that led to the game being made available for download. “We are heartened to see so many Australians taking a stand against racism by signing and sharing the petition. A company sharing the same name as NIL Entertainment, but not related to the company that released the game in any way, said it had received a barrage of complaints on its Facebook page. “This is not us! We absolutely think it's inappropriate,” the company said. NSW Aboriginal Land Council Chair, Roy Ah-See, said it was important that Australia did what it could to avoid damaging incidents like this occurring again. “NSWALC would encourage the developers of this game to get in contact with Aboriginal video game and app developers to share knowledge and to better appreciate our proud history and culture,” Ah-See said. “There are emerging Aboriginal video game and app developers who are playing an invaluable role in using technology to strengthen our culture. “Apps and other forms of technology are valued by Aboriginal communities in New South Wales as another way to connect our younger generations with our languages, culture and stories.